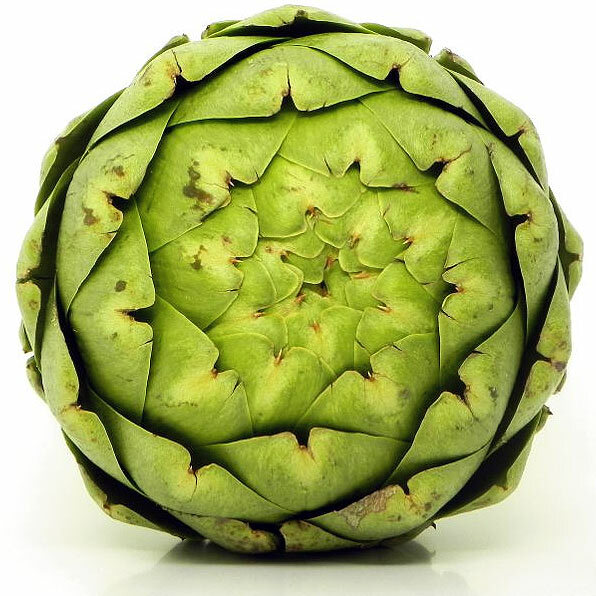 Artichoke is a close relative of the Thistle family, and one of the most expensive and sought after vegetables, due to its high nutrition profile and its powerful effects on the human body. The total antioxidant capacity of artichoke flower heads is one of the highest reported for vegetables. Cynarin, the active chemical constituent in artichoke extract, causes increased bile flow through the liver, cleansing the liver and making it work more efficiently. This diuretic vegetable is of particular nutritional value because of its beneficial effect on digestion, strengthening of the liver and gall bladder function, and raising of the HDL/LDL ratio, reducing cholesterol levels. The cholesterol reducing function alone diminishes the risk for arteriosclerosis and coronary heart disease. Artichoke extract has been clinically proven to be helpful for patients with functional dyspepsia (upset stomach or indigestion), and may reduce symptoms of Irritable Bowel Syndrome. As well as being a liver tonic and digestive aid, our Active Health: Artichoke Extract also contains an amazing array of vitamins and minerals, making it a great overall tonic - even more so if you've been partying a little too hard!